When you order articles or other individual pieces of content from an article writing service, you expect professional-level results. However, as in any service industry, your mileage may vary depending on the quality of the service you choose. We know how difficult it can be to evaluate article writing services on your own. To help you narrow down your options, we’ve reviewed some of the most popular choices and ranked them based on customer feedback, industry reputation, and other factors. This way, you don’t have to spend as much time on your own research. Note: This group of companies is focused specifically on article writing services. If you’re in need of a more comprehensive content assistance, see our rankings and reviews of content writing services. *Klout scores no longer exist as of May 2018. Social Mention Strength is a metric used by Social Mention that indicates the likelihood that a brand is being discussed in social media. †Writing Bunny is known as ArticleBunny on Twitter. Description: When you order articles through Media Shower, the staff will create the article idea and gain your approval of the topic. You’re then matched with a vetted, highly experienced journalist who will deliver unique, original material designed to inform and inspire your audience. After the writer completes the piece, an editor reviews it for quality assurance and corrects any mistakes, then delivers it to you. This proven process ensures that every article you receive not only meets your needs but will reflect your brand. Pricing: Custom pricing based on industry, target audience, and length. Description: When you order articles through Upwork, you’ll choose a writer from among the freelancers who “bid” on the job. Unfortunately, you’re just as likely to meet inexperienced or unqualified writers as you are to encounter seasoned professionals. While Upwork provides you with access to hundreds of thousands of freelancers, the extra work required to individually vet applicants might reduce this article writing service’s value. Pricing: Established between the customer and the writer, ranging from $2 to $100 per article or more. 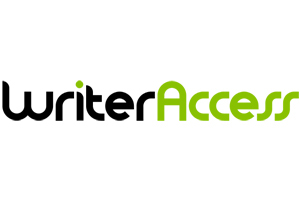 Description: You can order articles quickly and easily through Writer Access. Writers receive ratings between two and five stars, so you’ll pay more for writers who have earned better ratings. You must place a $50 initial deposit, which then goes toward your first order of articles. You can place as many (or as few) orders as you want. Pricing: Article rates start at $0.02 per word and can exceed $2 per word, depending on the writer’s quality and experience rating. Description: Speed is the name of the game at ArticleBunny, a relatively new article writing service that promises fast, high-quality articles from industry professionals. You can submit an article request for a contest (in which multiple writers pitch their ideas) or a “Speedy,” which means any writer can accept the project and complete it by your deadline. You can also directly book a writer you like. Pricing: “Bunny Pros” set the prices they’ll accept for articles of different lengths. Description: Over the years, Textbroker has developed a reputation for providing inexpensive content for companies. Like on Writer Access, writers receive star ratings based on their output quality and customer reviews. You can hand-pick a team of writers for your articles or open up each project to individual bidding. Pricing: You’ll pay anywhere from $0.013 to $0.72 per word based on the writer’s rating. Description: Although Constant Content offers article writing services, it also has a database of already-written articles that customers can purchase. If you decide to create a custom order, you’ll complete a questionnaire for the writer’s reference and state how much you want to pay. Pricing: Depending on the writer, you might pay anywhere from $20 to more than $200 for an article. Description: You can open up an article writing project to the entire stable of Zerys writers or choose a freelancer based on his or her profile. After you fill out information about what you want your article to include, the writer completes the assignment and you review it for quality. If you like the article, you pay for it and can publish it on your site. Zerys doesn’t make customers pay unless they’re satisfied, so this site offers a risk-free article option. However, writer quality will vary significantly. Pricing: Per-word rates range from $0.01 to $0.50 per word based on the amount of research required and the quality of the finished product. white papers, web content, social media posts, and ebooks. Pricing: You have to disclose your project details to receive a custom quote. Description: When you order articles through iWriter, you fill out a form that details the information you want included in the piece. You can request articles ranging from 150 to more than 1,000 words in length, and the company promises fast turn-around times. Pricing: Article prices range from $1.25 to $260 depending on quality and length. Description: Many customers turn to Articlez when they need extremely inexpensive copy for their blogs and other online properties. You can get an article, blog post, “blurb,” or other piece of content cheaply and quickly, but you’ll have to sacrifice quality. The posts don’t undergo significant quality assurance prior to their release to the customer, and you might find grammatical errors, as well. Additionally, writers can’t include resource links in the content, so there’s no way to source their information. 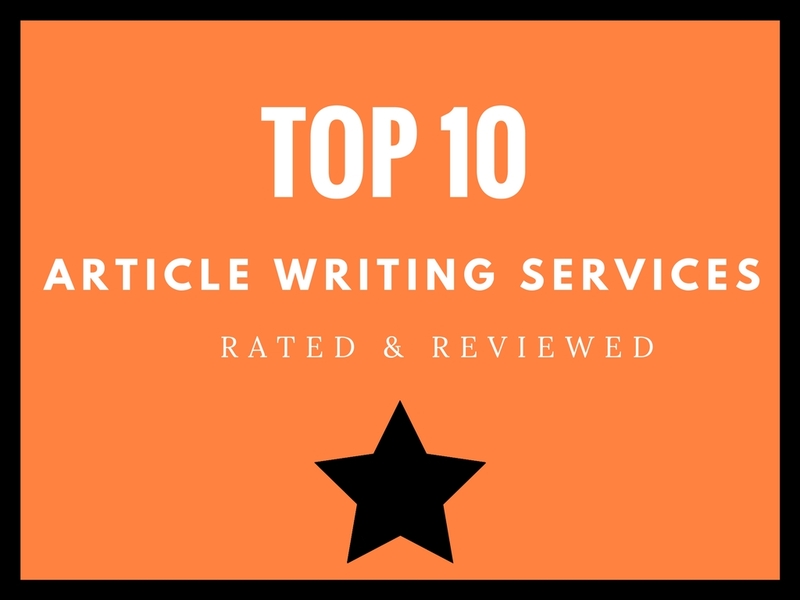 If you’re in the market for an article writing service, this list should help you decide which company will meet your needs. Having all the facts in front of you will save you from wasting time (and money!) so you’re not disappointed in your content. Interested in what Media Shower can do for you? Sign up for a free trial and find out for yourself!